There are certain buildings that attract people in the creative community. 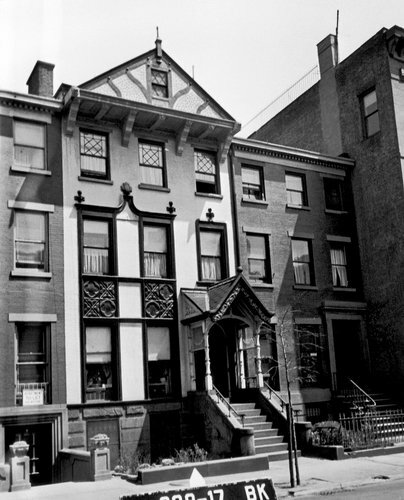 At the start of WWII in Brooklyn, New York, there was one such house that was filled with the flatmates from hell. What happened when WH Auden, Carson McCullers, Benjamin Britten, Paul & Jane Bowles and Gypsy Rose Lee all moved in together? The bizarre, frequently hilarious story is told in Sherill Tippins’ terrific book ‘February House’ – but it wasn’t the only such place. London, of course, is full of them. 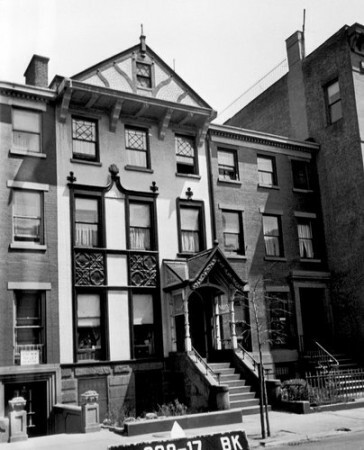 Ian Fleming moved into the Carlyle Mansions in Chelsea in the 1950s. The building was nicknamed the “Writers’ Block” because authors Henry James, Somerset Maugham and T.S. Eliot had also lived there, and it was here that Fleming penned the very first Bond book, ‘Casino Royale’. The building where Associated London Scripts was based in Shepherd’s Bush, and operated as a writers’ agency organised as a cooperative, was apparently a madhouse. It involved many of the whackier comedy and TV writers of the 1950s and 1960s charging in and out all day. And before I bought my building in Bateman Street Soho, it was the working, eating and sometimes sleeping quarters of Illustra Films, which was the home of a great many famously badly-behaved film directors who went on to international success. There’s a lot to be said for sharing your work/ living space with like-minded people.